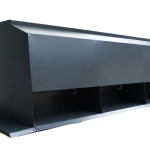 A competitively priced, natural exhaust roof ventilator specifically designed to fit along a building ridge line. Units can be sited along the ridge as single units or joined together to provide a continuous run. 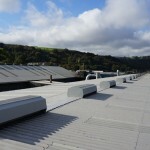 The Mackridge SV is a natural roof ventilator designed specifically for mounting along the ridge line of a building. 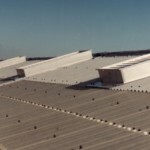 The relative position of the roof ventilator along the apex maintains the longitudinal symmetry of the building appearance, unlike many other types of natural ventilators. 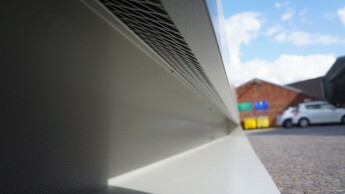 The ventilators are offered in a range of materials and colours to colour match or contrast with the roof claddings. Each Ventilator is custom made to suit individual requirements. With such a wide range of throat opening widths and lengths, together with the option of employing either individual units or full ridges, design and installation options are endless. Available in a wide range of standard throat widths from 152mm to 305mm, Mackridge SV ventilators are made-to-measure in lengths and configurations to suit your requirements. Other materials and finishes include:- Aluminium with a polyester powder paint (including Syntha Pulvin) with a wide choice of colours and gloss levels. Steel units manufactured using galvanised steel in mill finish or PPC painted.